For the record I do not want to see Wonderland of Lights go away. I think it is a nice little local festival which should be preserved for the quality of life of the community. I do think it should be managed the way it was for the first 28 years – a volunteer lead 501c3 organization independent of the city’s direct management involvement. 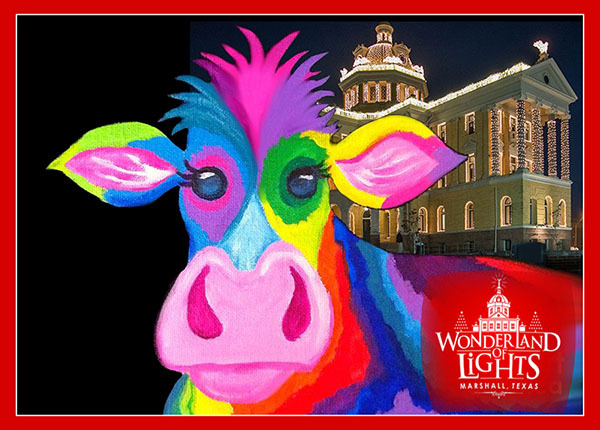 Of course, this will not happen because Wonderland of Lights has become Marshall’s sacred cow. 1.	an idea, custom, or institution held, especially unreasonably, to be above criticism (with reference to the Hindus' respect for the cow as a sacred animal). 1. It is Marshall’s brand. It is Marshall’s claim to frame. 2. Restaurants and retail merchants depend on WOL to stay in business and they contribute their increased sales in November and December to WOL. I know sacred cows are above criticism and therefore my arguments will be rejected but the last time I checked this country still has a free press, so I will make my argument.